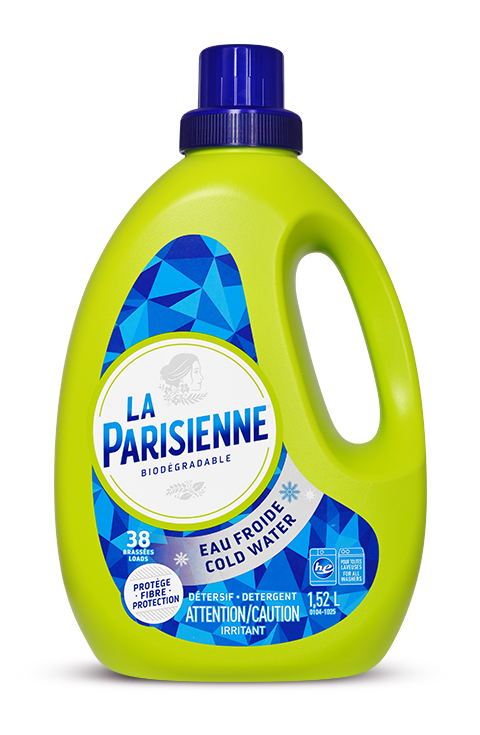 La Parisienne Cold Water detergent is specially formulated to offer superior cleaning power in cold water. LA PARISIENNE COLD WATER LIQUID DETERGENT IS VERY VERSATILE. IT CAN BE USED AS A REGULAR DETERGENT IN YOUR LAUNDRY, BUT ALSO AS A STAIN REMOVER WHEN PRETREATING. Use cooler water: Cooler water will save energy and still produce clean laundry.